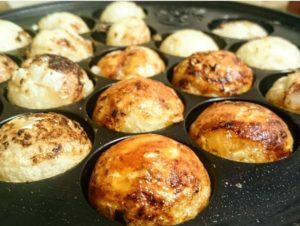 Have you ever tried making Takoyaki? Takoyaki is a signature food of Osaka. But many Japanese include me love it!! By the way, do you know this? 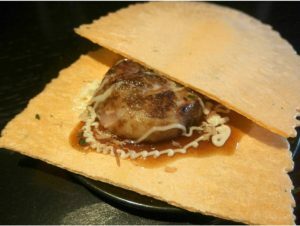 Takoyaki squashed between 2 crackers (senbei). I had this few weeks ago. It was actually my first time to eat!! I didn’t even know Takosen!! It’s a good snack when you travel Probably easier to find them in Osaka! !